Dr. Richard J. McCallum officially started his duties as DSU’s tenth president on April 5, 2008. His formal Investiture ceremony was held on Friday, November 21, 2008. He served as DSU president until August 2011. Prior to his arrival at Dickinson State University, McCallum served as Vice President for Academic Affairs at Missouri Southern State University where he McCallum functions as a student affairs advocate and an ambassador for faculty concerns while providing leadership for all academic policies and programs, including curriculum development, program accreditation as well as faculty recruitment, selection, promotion, tenure and sabbaticals. 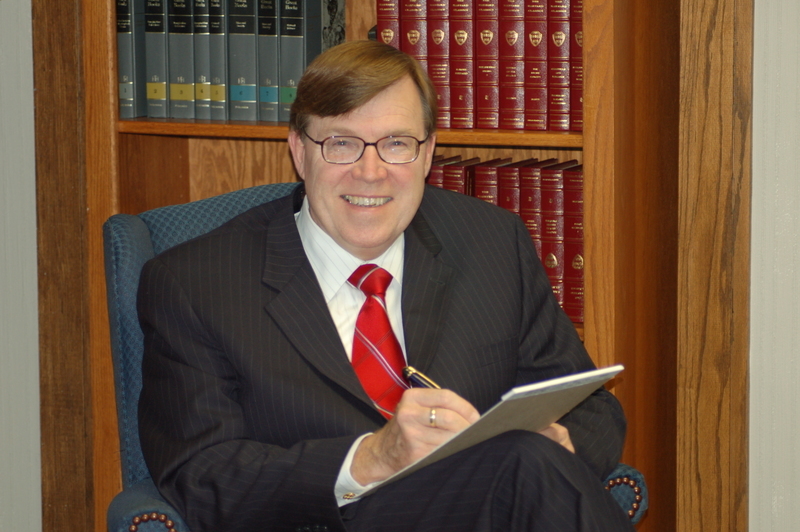 From 2001-2004, McCallum served as Associate Vice President for Academic Affairs at Central Connecticut State University (CCSU), New Britain, Connecticut. CCSU is the oldest public institution of higher education in Connecticut and has an enrollment of more than 12,000 students and 820 faculty members. From 1994-2001, McCallum was chairman of the Strategy and Planning Department and Director of Strategic Outreach at the U.S. Army War College, Carlisle, Pennsylvania. He supervised a team of civilian and military faculty, orchestrated the planning, development and annual publication of more than 30 major monographs in support of the college’s research plan, and was responsible for the research and developmental writing that supported the commandant’s public speaking and publishing obligations. His duties also included the management of both academic and financial resources in support of new opportunities designed to extend the college’s resources beyond the campus while establishing partnerships with selected universities. McCallum served as university administrator and assistant professor at the University of Missouri-Columbia from 1976-1993. His assignments included assistant professor and program and staff development team leader (1986-1993), director of an economic development research project in cooperation with the Mark Twain Lake Association (1985-1986), associate area director for the Bootheel Extension Area (1980-1985), continuing education specialist for the Southwest Extension Area (1976-1978). McCallum also has served as program associate at the University of Nebraska Medical Center (1974-1976) and as a health educator with the Nebraska State Department of Health (1972-1974). McCallum’s academic credentials include a Ph.D. in Education: Community and Human Resources (1982) and a Master of Arts in Education: major in adult education (1976), both from the University of Nebraska-Lincoln. McCallum earned a Bachelor of Arts in Education (1971) from Wayne State College, Wayne, Nebraska. “Dr. Richard J. McCallum ,” Dickinson State University Archive, accessed April 23, 2019, http://dsuarchive.com/items/show/301.